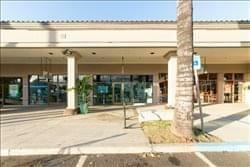 Find My Workspace lists over 95% of the executive office suites market in Honolulu. Simply click Request Quote to check pricing for one office, or Add to Basket for multiple offices. This center is dedicated to providing an exceptional business center experience with services that cater to a variety of business needs. The space enables businesses to keep moving and be “on-the-go” with a fast and friendly service because business never stops. Created for business professionals who are “on-the-go” and need a place to work productively and conduct business meetings without the high cost of a long-term permanent office space.The space is ideal for professionals, entrepreneurs and business owners in many industries from real estate, mortgage, insurance, technology, law accounting, sales, recruitment, consulting, hospitality, entertainment, health, merchant, educational and government businesses. This is one of the first collaborative workspaces in Kapolei, opened in 2016. Due to the massive increase in “on-the-go”, mobile workers this centre will expand to other cities and markets throughout the US. To obtain information for your selected Hawaii Executive Office Suites, please tick the "Add to basket" box for each office you prefer and complete the form below. We will then send a detailed report via email.